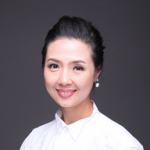 Yali Lu is the Managing Director of Innotech Group, a Global Contract Manufacturer and specializes in electrical devices, charger, batteries and LED lighting. They provide customers with all-round service as R & D of products, products-oriented and production, only with given expected function and performance of products or even conception. INNOTECH has more than 100 world class engineers and owns more than 50 patents. With a strong R&D center and disciplined operations, Key customers include GE, P&G, IKEA and Panasonic. Yali was born in China and came to the United State in 1998 shortly after her high school. 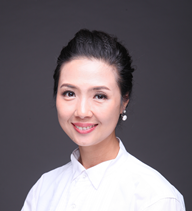 She holds a Master Degree from Master of Science in Accounting and Finance. Yali’s career began as an external auditor in PriceWaterHouse Copper in St. Louis, MO. In 1997, Yali moved to Atlanta and work for Cox Enterprises, A leading communications, media and automotive services company, with revenues of nearly $15 billion and more than 50,000 employees. Yali hold varies positions from different divisions, and was the key point of contact for all International financial systemic & processes related areas. She also leads and manages the execution of the Annual Operating Plan as well as the consolidated forecasting for the Mohawk Flooring Group. Yali’s Bilingual (English and Mandarin Chinese) skills with demonstrated ability to interact with people from diverse backgrounds. Effective in building and maintaining project teams and developing relationships based on trust, communication and quick resolution of business issues.